You know what I love most about summer? 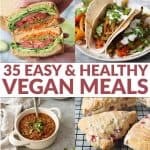 How easy meals become. With produce this delicious and fresh, you really don’t need to do much. That’s the idea behind this simple salad, incredibly refreshing as a light lunch, a gorgeous side-dish to bring to gatherings or a salad to go with whatever your grilling. 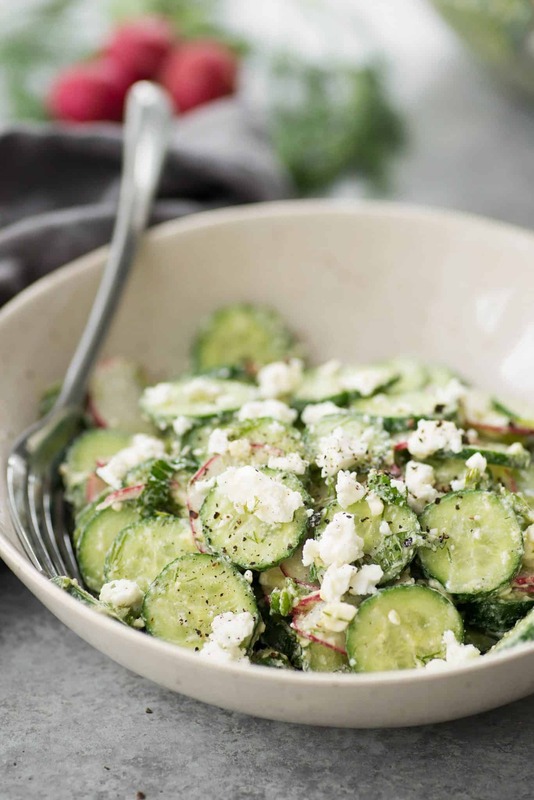 Growing up, my mom used to make a simple cucumber salad that we would eat almost weekly. Sliced cucumber, a little vinegar, olive oil, salt and pepper. That’s it. 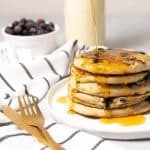 I remember after I moved out on my own and asked for the recipe, I couldn’t believe how simple it was. Which, I suppose just proves my overall point. This one is a bit more fancy, but not much. 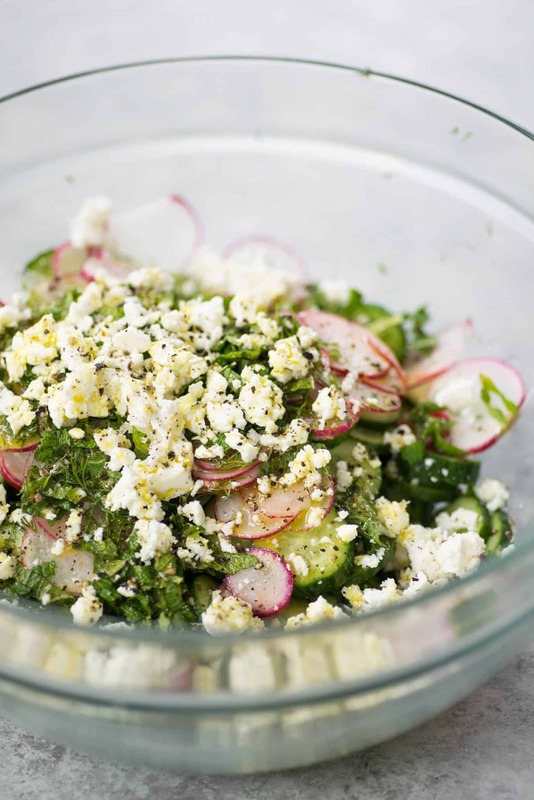 Sliced cucumber, fresh dill, radishes, feta, lots of mint and a light dressing. I think I inhaled this entire bowl right after photographing. 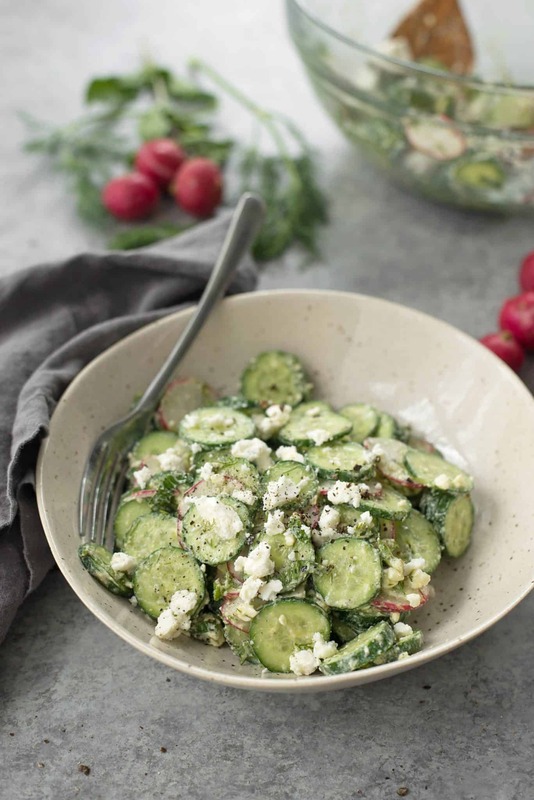 I love persian cucumbers best, especially in this salad. 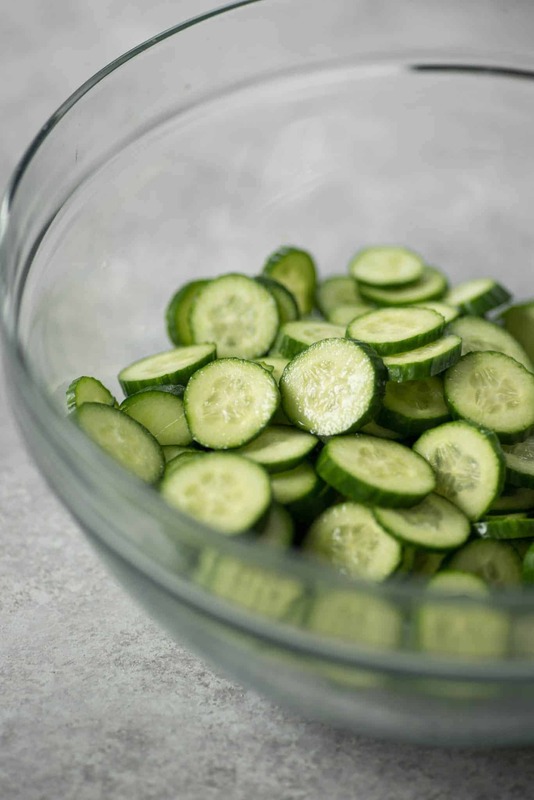 They have a thinner skin than regular cucumbers and aren’t as watery, which can be the enemy in most cucumber salads. 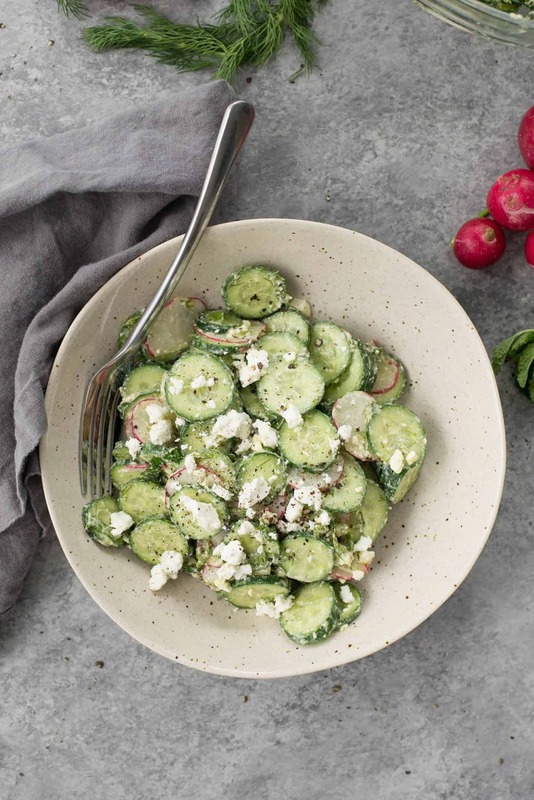 For my dairy-free friends, you can leave out the feta but I love the way the creamy cheese pairs with the crunchy cucumbers and spicy radishes. Either way, this is quickly becoming one of my favorite easy salads that I know I’ll be making over and over again this summer. Prep the cucumbers, radishes, dill and mint then place in a large bowl. Toss together with feta, lemon juice and zest, olive oil and pinch of salt and pepper. Toss well until combined, seasoning to taste as needed. Enjoy immediately. Because the salt will pull water from the cucumbers, this salad doesn’t stay crisp for long. Me too! Our Spring garden is almost done with radishes and I’ve been putting them in just about everything. Yum! Stunning! This salad sounds incredible, I’ll definitely be making this some summer evening! Thanks Lauren- hope you like it!